There are many options available with a Strobel mattress to choose from. This manufacturer is renowned for following the latest developments in technology and incorporating the best features in its beds. The beds from this manufacturer are very helpful for those with problematic backs or some such physical limitations. 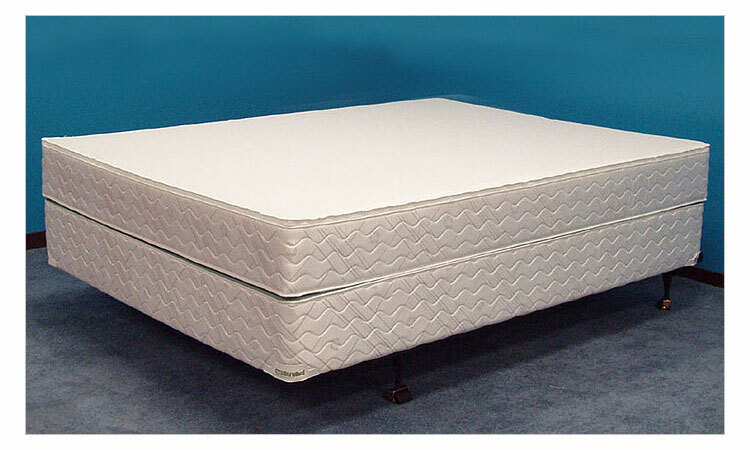 The Supple-Pedic from Strobel is the best mattress for getting total body support and relaxation of complete body. The manufacturing technology adopted for making this mattress imparts it some very exclusive features that are found missing in most mattresses that one finds in the market these days. Some of the mattresses from this range include The Lever Support system. This extraordinary system works due Polyfilax filling used in the mattresses. Polyfilax is a very soft material that prompts your body to completely sink in the mattress and causes an even distribution of body weight along the surface of the mattress. It gives the feeling of being suspended in the air as there is no pressure on any part of your body. The underneath provision of lever system adds to the comfort of the occupier and is of significant help to those affected with problems of the hips or back. Being hypoallergenic, Polyfilax is not friendly with dust mites. The cover provided with each bed can be unzipped for washing and be fixed back, maintaining its hygiene and cleanliness, an important feature that one looks forward to having in any bed. These mattresses come in quite many models. However, one feature that marks different models is the thickness of the Polyfilax layer. For instance, the Supple-Pedic 6000 mattress has a six inches thick layer of Polfilax, making it the most comfortable bed one could expect. The one handicap reported by mattress reviews is the lack of provision of handles on this mattress, which makes flipping over rather difficult. You will also notice a lot of advanced features on a Strobel Waterbed mattress. While one model offers the option of choosing the volume of water and padding that you may like to have in the mattress, the other offers the deepest fill of water available on the market today. All the models are provided with detachable and washable covers for maintaining the much needed cleanliness all the time. If you are considering purchasing a new mattress, you would do well spending time to check different models of Strobel mattresses with varying options, before deciding the one that suits your requirements the most. best sleep i ever had the first three years. then it all went to crap fast. i have spent the last seven months trying to get the company to stand behind their warranty. my bed sagges almost two inches. not only would i not waste my time or money on this company again, i would not put my reputation on the line by writing an upstand review like you did.